Why am I waiting? I've enjoyed this author's books in the past and I'm excited for a spin off from The Point series. I want to know more about this guy and I want to know what happened to Keelyn. Ready to devour! Why am I waiting? Well, first of all, I really enjoyed Lesley Livingston's Wondrous Strange trilogy. Second of all, some lucky ducklings have read this book already and say it is incredible. 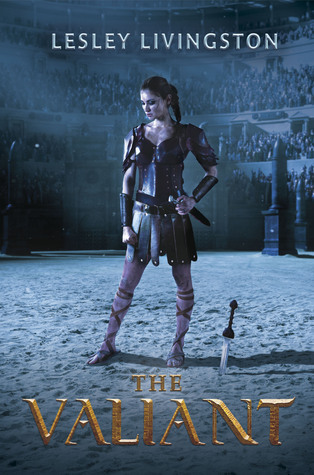 Lastly--female gladiator. How badass is that? I need this book in my hands ASAP! Both of these books look awesome. I haven't seen The Valiant around but I am going to be looking out for it now! Nice! Seeing a lot of the first one today! Have been seeing a lot of the second one in general too! Great picks! My blogging partner just finished both of these and LOVED them. I am dying for Valiant! It looks so good! Honor looks weirdly good! I'm going to be checking it out! Honor looks awesome and that's a great cover. And I'm super excited for The Valiant! That book looks amazing.